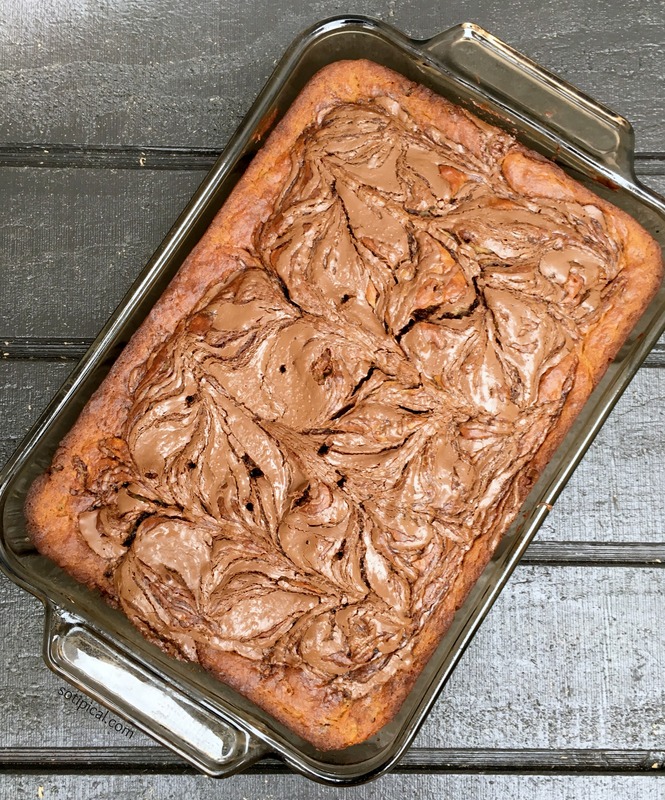 Whether its World Nutella Day (Feb 5th) or any day, treat yourself with this moist and delicious Banana Nutella Cake! It was a perfect accompaniment to our casual Sunday brunch, dessert after dinner, then in the kid’s lunch box today! The house smelled fabulous while this scrumptious cake was baking. 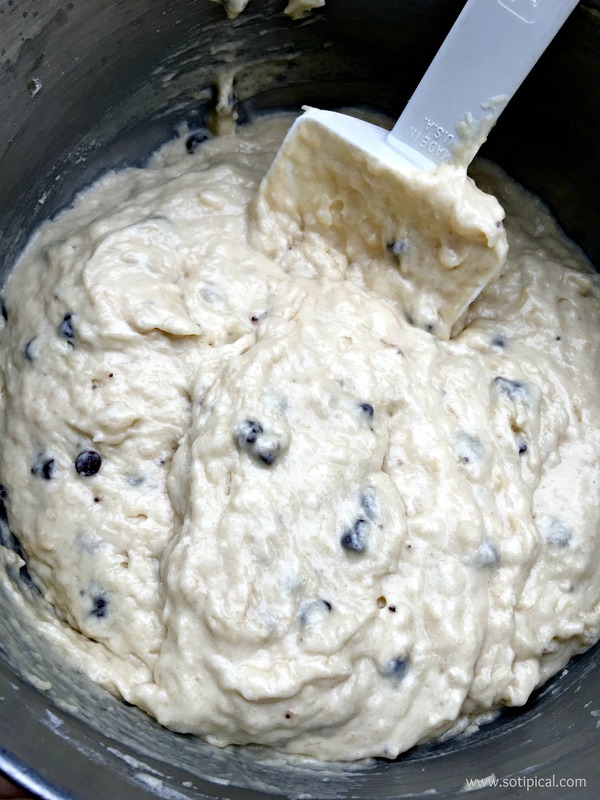 Its pretty easy and chances are you have many of the ingredients already! Begin by preheating your oven to 350 degrees. Either spray your glass pan with cooking spray or use parchment paper in other pans to avoid sticking. You will be mixing the wet and dry ingredients separately. First mash the bananas in a large bowl using an electric mixer. Next add the melted butter and mix well. After that you will add the eggs, Greek yogurt and vanilla until well combined. 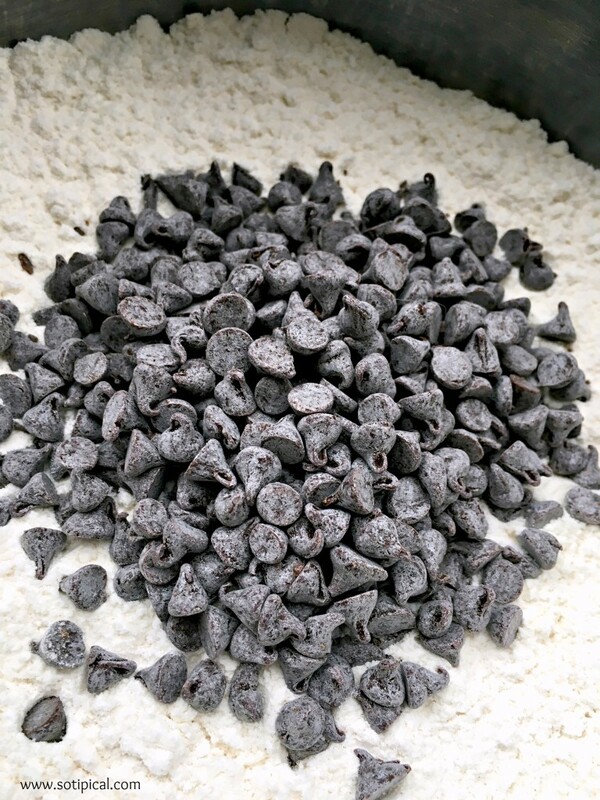 In a medium bowl, combine the flour, sugar, baking soda and salt. 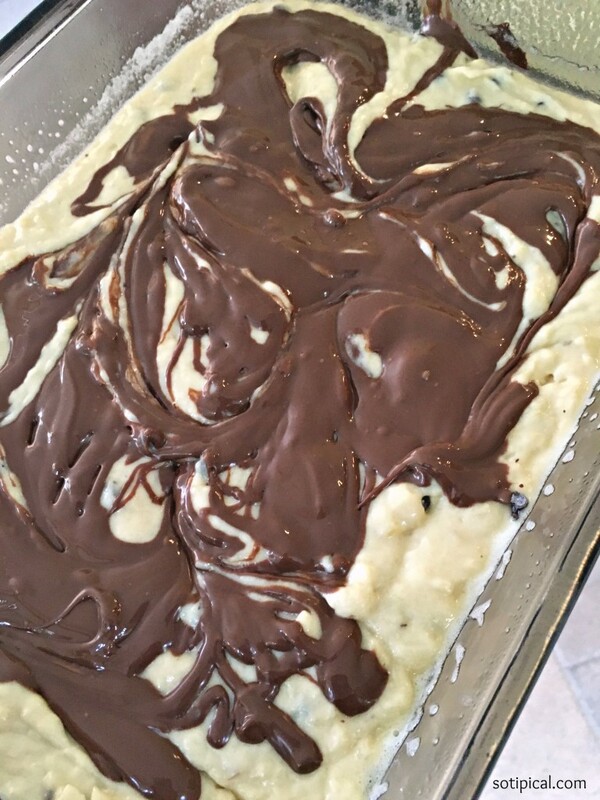 Use a whisk to combine, then add in the mini chocolate chips. I find that chips mix in batter more evenly when coated lightly with flour. 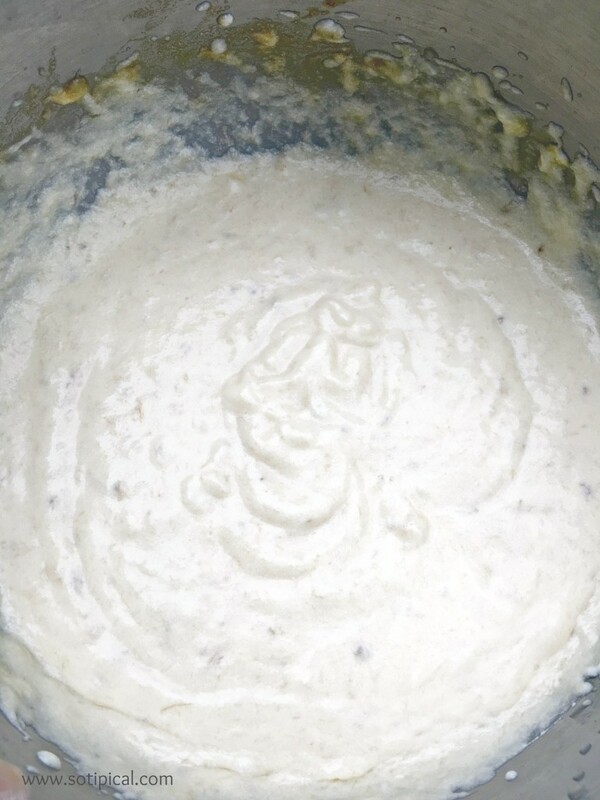 When adding them into wet batter, they will usually stick closer together and not spread evenly through the pan. 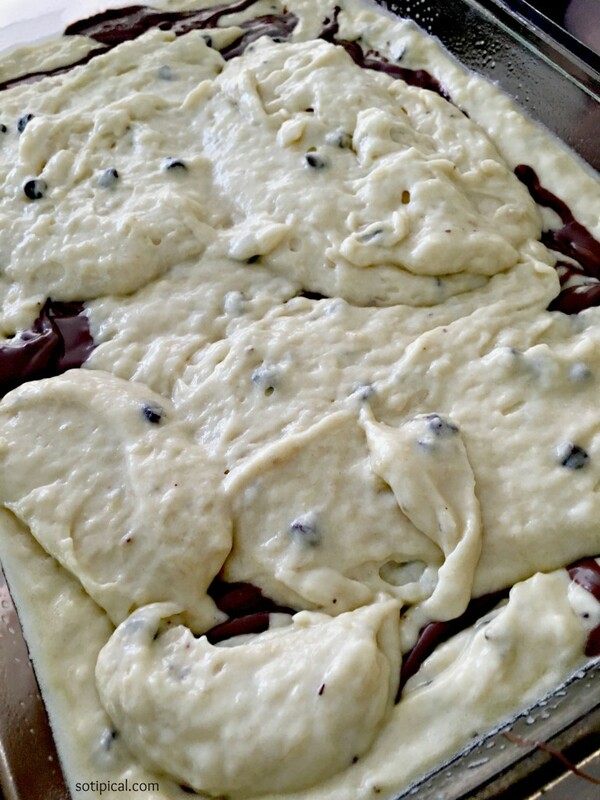 Once combined, gently fold dry mixture in batter. In a small microwave-safe bowl, heat the Nutella for 15-20 seconds, until slightly “melted”. 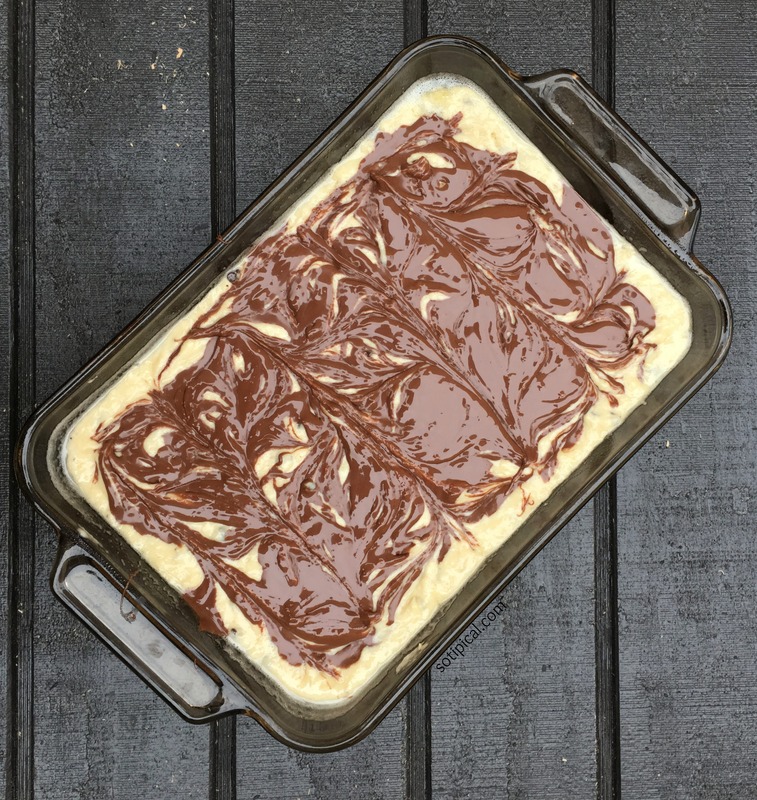 Pour half of the cake batter in your greased pan, then drizzle half of the Nutella over the top. 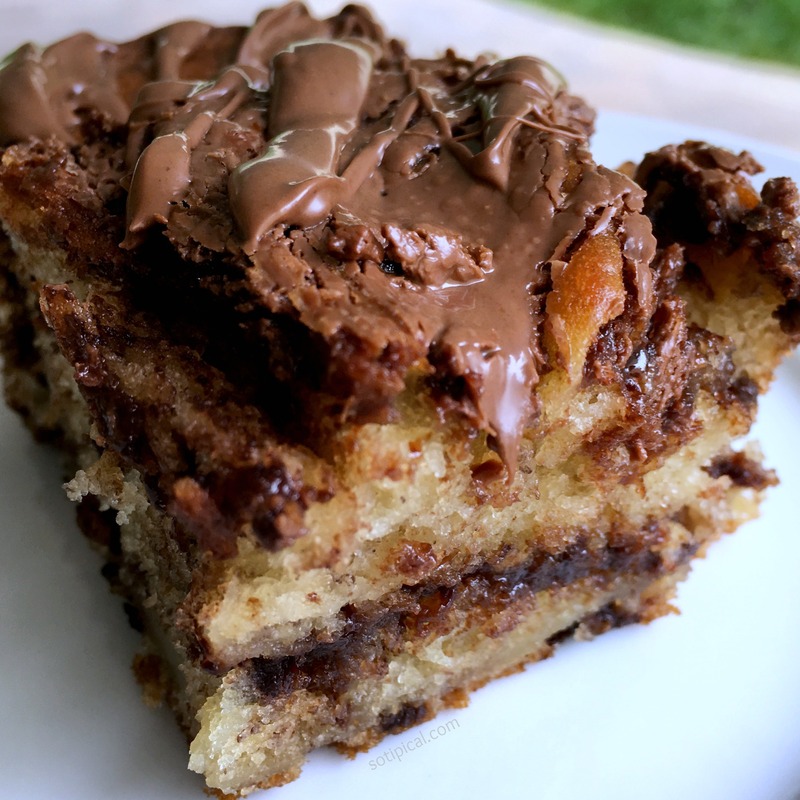 Using a butter knife, drag it through the Nutella and create swirls, but don’t over mix. 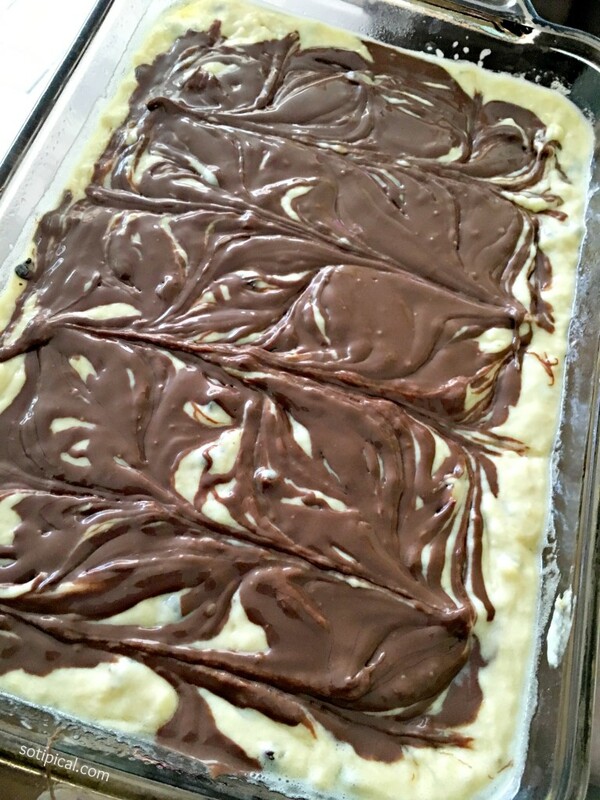 Carefully spoon the remaining batter over the top, then spread it around, covering the Nutella layer below. Drizzle the remaining the Nutella over the top and once again, use the butter knife to create swirls through the top layer. Toward the end of baking, insert a toothpick in a few spots toward the middle of the cake. If it comes out clean, remove from oven. If you are still seeing “wet” batter on the toothpick, then bake a bit longer and check in 5 minute intervals. Do not over bake! 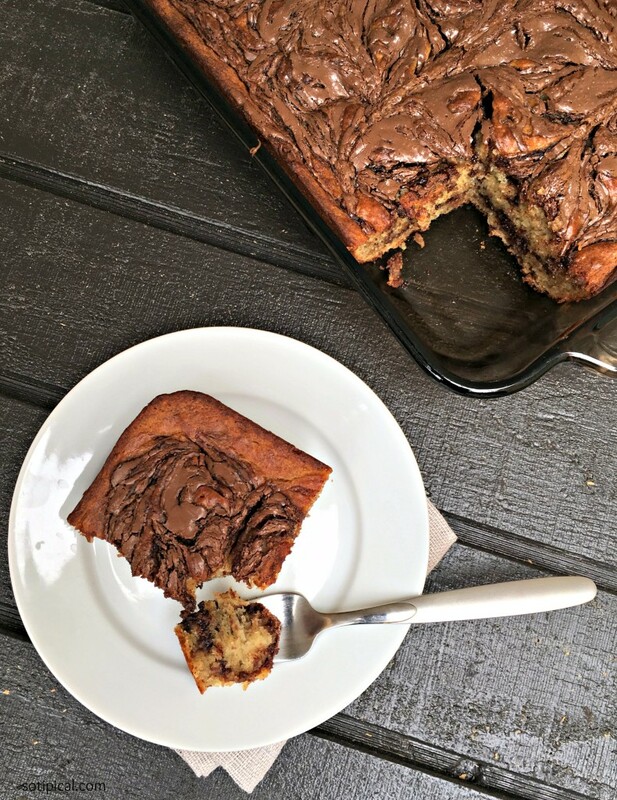 Allow the Banana Nutella Cake to cool for at least 15 minutes before serving. The Nutella will be HOT! One of my kids heated up a couple of additional tablespoons of Nutella to drizzle over the top as icing. So yummy! The cake is so moist and delicious, but not too rich. Great with a glass of milk or cup of coffee! Can’t wait to have another slice later today! This is my new favorite Nutella treat! What is yours? Banana Nutella Cake looks delicious. I think, I should try this very soon.